The main historic feature of interest at St Peter's church in the Cambridgeshire village of Barton is a series of wonderful medieval paintings. Amongst more serious religious themes are interspersed comical likenesses of a rabbit, and a devil getting his nose pulled. Among the major paintings is this scene of The Weighing of Souls. 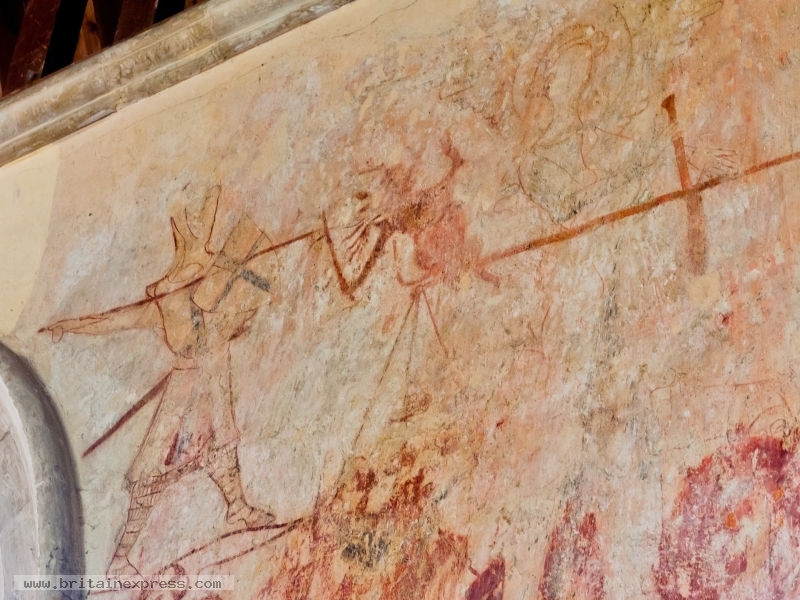 You can make out the Virgin Mary laying her rosary on the scales, while in the left of the picture a knight with a lance is attacking a demon.